Force Factor Forebrain Review: Best Nootropic Supplement on the Market? It seems like every day there is a new supplement that promises to help you look and feel your very best. Many are generic formulas designed to give you a slight boost, but very little else. You are often left wondering if you feel any different and if it really had any effect. These supplements are often promoted as taking weeks or even months to actually produce effects. Most people don’t stick to anything that long, let alone a supplement regimen, and don’t have that long to wait when they are looking for fast results. Force Factor’s Forebrain is different. 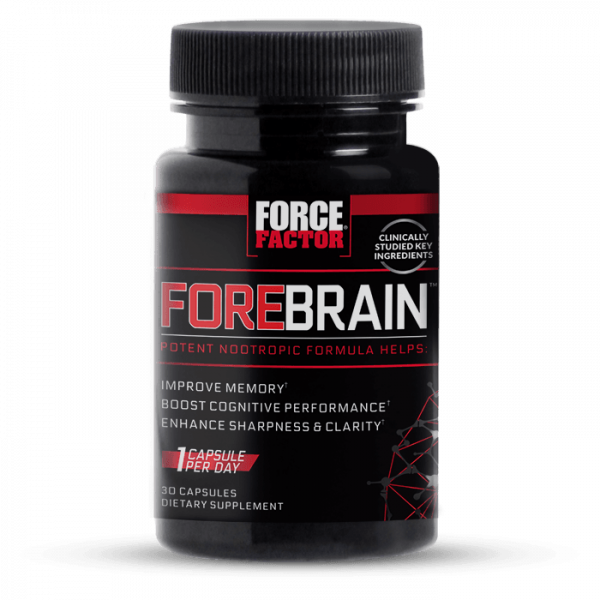 Forebrain is the newest nootropic supplement from Force Factor designed to give users memory and focus support when they need it most. You don’t have to wait days or even weeks for the supplement’s mental-energy-boosting benefits to kick in. Simply take the supplement in the morning and start feeling the focus and clarity effects throughout the day. I noticed a change in how I was feeling pretty quickly after taking it for the first time. And the longer I took it, the more I started to notice its impact on my memory abilities, as well. What makes this supplement so effective for your brain is due in part to Force Factor’s proprietary ingredient blends. Force Factor’s team of researchers spent years researching and creating the right blend of ingredients for each of their products, including Forebrain, which has led them to become an industry leader. The revolutionary ingredient blends in Forebrain include MemorySafe™, ThinkUp Advanced™, and BioBrain+™. Each blend offers its own unique benefits, making the overall formula a powerful nootropic supplement. The key ingredient in the MemorySafe™ blend is clinically suggested to help boost memory and recall. The ingredient is called COGNIGRAPE™, and it is a Sicilian red grape extract from a company called BIONAP. Clinical studies on COGNIGRAPE suggest it can help improve attention, language, and immediate recall. Bacopa monnieri extract, also in the MemorySafe™ blend, is known to increase certain brain chemicals involved in memory, thinking, and learning. The ThinkUp Advanced™ blend is composed of zümXR® extended release caffeine, Thinkamine™ vincamine, and huperzine A. This blend helps give users the energy and focus they want from a brain health supplement. Lastly, the BioBrain+™ blend, containing BioPerine® Black Pepper Fruit Extract, helps key ingredients absorb more easily into the bloodstream and body. (Check out this review to learn more about each ingredient blend). Where Can You Find Force Factor’s Forebrain? 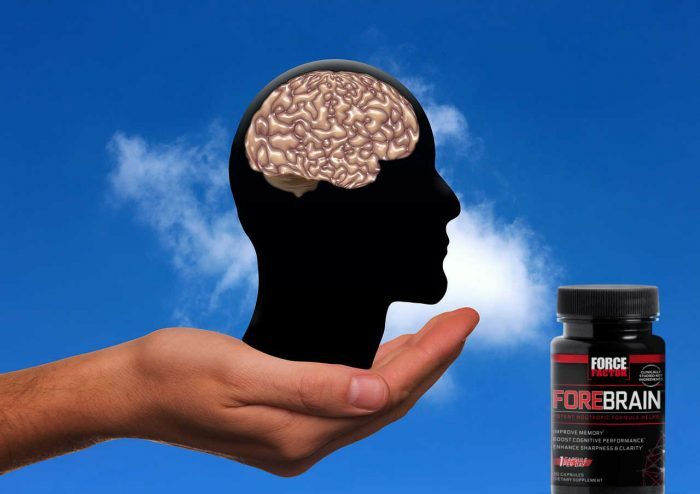 The good news, too, is unlike some other supplements out there that are only available on the manufacturer’s website and takes week to get to you, Forebrain is available in GNC stores nationwide. The product is also available on Force Factor’s website, with fast and easy shipping. When ordering from Force Factor, the product should arrive within two to five business days. A month’s supply of Forebrain will cost you $69.99, or a little over $2/day. That is less than a cup of coffee at many major coffee chains. Plus, the product delivers more benefits than a cup coffee alone provides! When searching for a supplement to help boost your focus, memory, cognitive energy, don’t just buy the first one you see. Some of these supplements can take weeks to work. We highly recommend Forebrain because of its relatively immediate effect on mental energy. Users can take it in the morning and feel the effects throughout the day, without waiting weeks or months on end to notice just a slight difference. The product uses clinically researched ingredients and provides a cognitive boost that many believe is greater than what coffee and other caffeinated beverages alone can provide! Let the days of brain fog and cognitive lethargy be a thing of the past. Try Forebrain for yourself today!